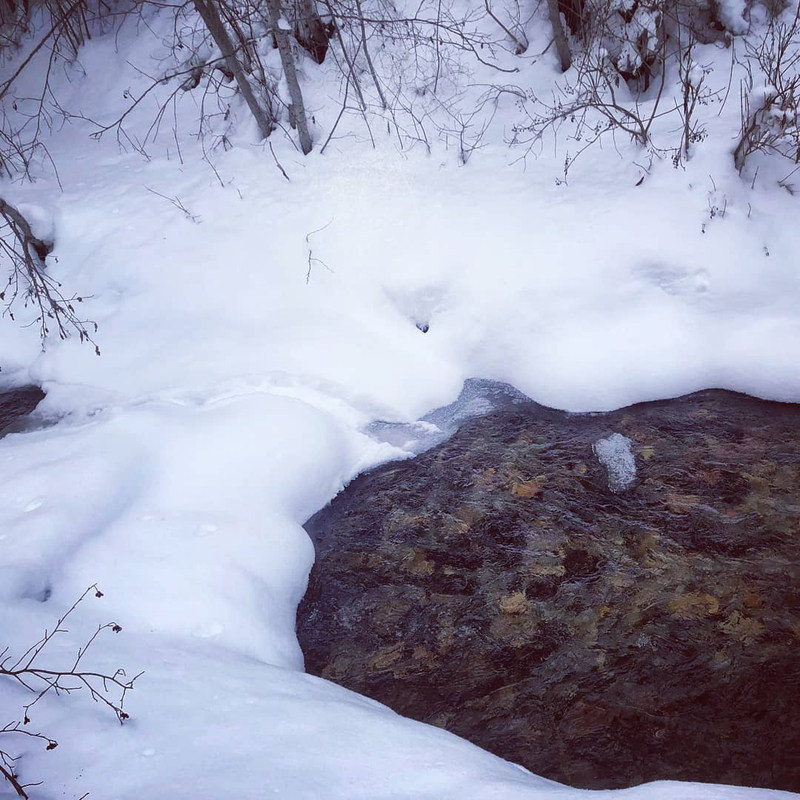 We skied in to monitor our project sites on Cedar Creek near Missoula, Mont., and found beaver slides all over the restored reaches. In four of the past 10 years, TU worked with the Lolo National Forest to relocate a road out of the floodplain and add wood to Cedar Creek. 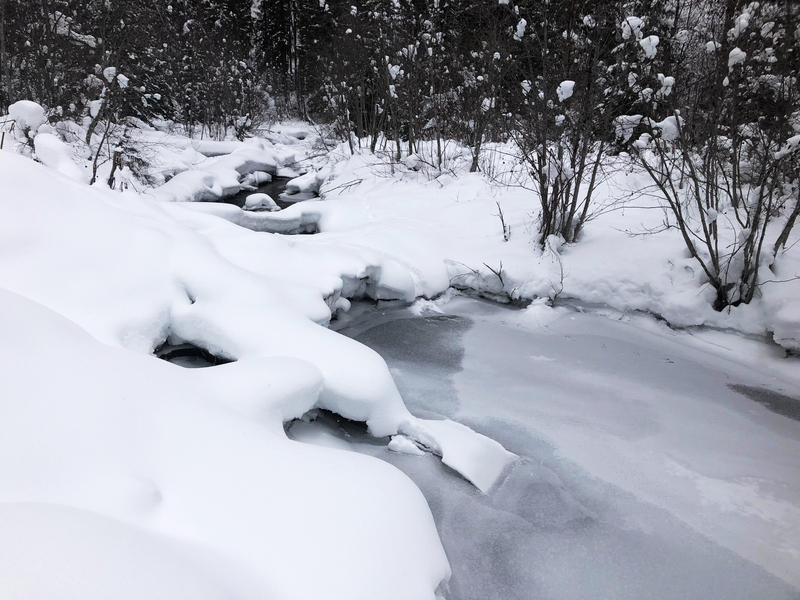 By felling trees into the creek and tearing out old roads, TU helped the fishery recover and encouraged beavers to make Cedar Creek their home for the first time in decades. Large wood structures are a common tool in stream restoration, because they increase in-stream habitat and help reconnect the stream to the floodplain. Wood provides overhead cover and creates complex hydraulics that form pools and gravel bars. The physical structure disperses streamflow and its erosive energy across the floodplain during high-flow events. Restoring damaged tributaries to habitable, productive trout streams can also encourage beaver into the landscape. Finding beavers on our restoration sites is exciting, and their presence supports healthy habitats for trout and other wildlife. Beaver dams recharge aquifers, improve late-season streamflows, and lower water temperatures by promoting downstream groundwater upwelling.